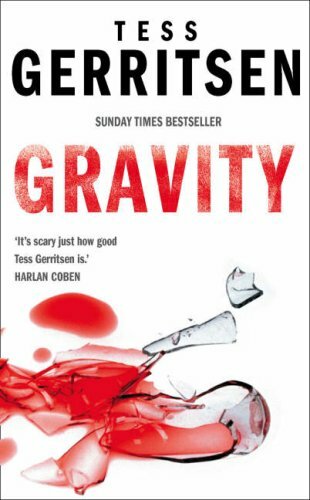 Top Ten bestselling author Tess Gerritsen expands the scope of her landscape of terror in a thoroughly menacing new thriller. A brilliantly compulsive page-turner from the author of The Surgeon. Top Ten bestselling author Tess Gerritsen expands the scope of her landscape of terror in a thoroughly menacing new thriller. A brilliantly compulsive page-turner from the author of The Surgeon. Dr Emma Watson, a brilliant research physician, has been training for the mission of a lifetime: to study living organisms in space. Jack McCallum, Emma's estranged husband, has shared her dream of space travel, but a medical condition has grounded him. Now he must watch from the sidelines! The mission aboard the space station turns into a nightmare when a culture of single-celled organisms begins to regenerate out of control -- and infects the crew with agonising and deadly results. Emma struggles to contain the deadly virus, while back home Jack and NASA work against the clock to bring her home. But there will be no rescue, as the astronauts are left stranded in orbit where they are dying one by one!